Chaotic scenes marred the independence vote across the Spanish region on Sunday. Spanish police turned violent on Catalonian citizens looking to vote in an independence referendum on Sunday, October 1. The Catalan health ministry said 893 people were injured in clashes as riot police raided polling stations, dragged away voters and fired rubber bullets, CNN reports. Spanish officers doubled in number from 4,000 to 8,000 in Catalan on the day of the vote with the Spanish interior ministry claiming 336 voting centres, out of more than 2,000 across the region, had been forcibly closed. 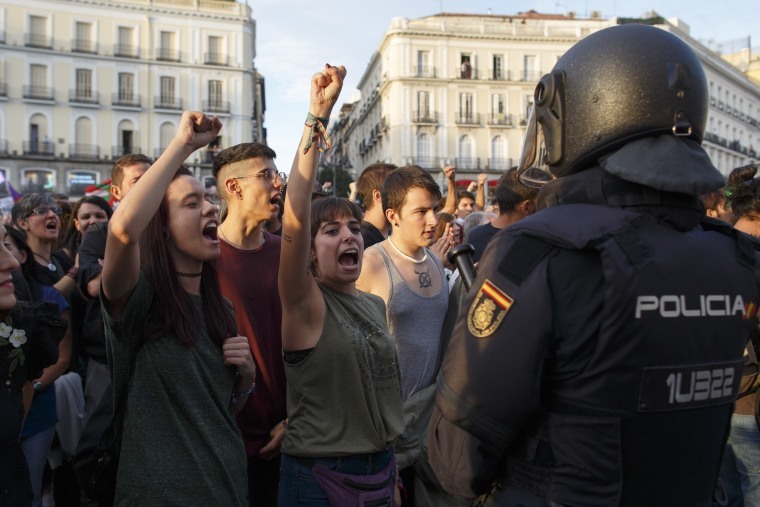 Various reports, as well as shocking video footage, show police confiscating voting papers and ballot boxes in Barcelona, using batons, firing rubber bullets to disperse crowds, and employing excess force on young protestors and the elderly. The referendum was held to decide whether Catalonia, which includes Barcelona among its 5.3 million registered voters, should gain independence from mainland Spain. The poll was declared illegal by Spain's constitutional court on September 7. However, Catalonia’s president, Carles Puigdemont, set the referendum for October 1 regardless. Catalan officials have claimed that preliminary results of its referendum have shown 90% in favor of independence. Jordi Turull, the Catalan regional government spokesman, has claimed that 90% of the 2.26 million Catalans who voted were in favor of independence. He claimed that just 8% of voters rejected the notion.